Shop with confidence knowing that your financing has already approved. Discovering what your trade is worth is the first step if you're thinking to upgrade. Nationwide Lifetime Warranty on Lifetime Certified used cars and SUVs. Pricing was fair and they treated me with respect and courtesy and handled my purchase efficiently. I would recommend them to anyone buying a Subaru. 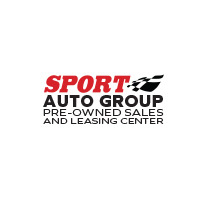 As a proud member of the Don Mealey / Sport Automotive Group Family of Dealership’s, Sport Auto Group Pre-Owned Sales and Buying Center has been providing Orlando drivers with the areas best used car sales and service for over 40 years and collaborate with more than 35 lenders to secure competitive finance rates for all. Regardless of what make and model you’re interested in, our sales team will help you find exactly what you’re looking for, as we offer a first-rate selection of pre-owned cars. Our dedication to professionalism and integrity shows throughout everything we do here. If you’re thinking about trading your car in or are looking for a new set of wheels, it’s time to visit Sport Auto Group Pre-Owned Sales and Buying Center. We have a vast used car inventory that’s full of popular models, including the Toyota Sedans, Nissan SUVs and Honda Crossover vehicles. From pickup trucks and minivans to sedans and coupes, there’s a size and style of vehicle for everyone on our lot. Plus, our finance center will work with you no matter what your current credit situation is. At our dealership, you’ll enjoy a modern shopping experience, as we have iPads and all the modern shopping tools you use in your home, right in our store. Don’t forget to ask about our Lifetime Warranty to learn about the benefits of buying a Certified car at our dealership. If you’re looking to sell your car, we’re always looking for quality locally driven cars, trucks, SUVs, vans, and coupes. Our Kelley Blue Book® Instant Cash Offer authorized buying center will give you the best cash offer based on KBB pricing information from the area’s used market. After you submit your sale inquiry, a buying center agent will reach out to confirm we’ve received the offer and what to do next. We’ll even get you home after we purchase your vehicle. Sport Auto Group Pre-Owned Sales and Buying Center is conveniently located at 9935 S Orange Blossom Trail in Orlando, FL, just a quick drive from nearby towns like Kissimmee, Hunters Creek and Oak Ridge. It’s right across the street from Sport Mazda and adjacent to Peacock Subaru. Don’t hesitate to give us a call or stop by today if you’re ready to Drive Home Happy.